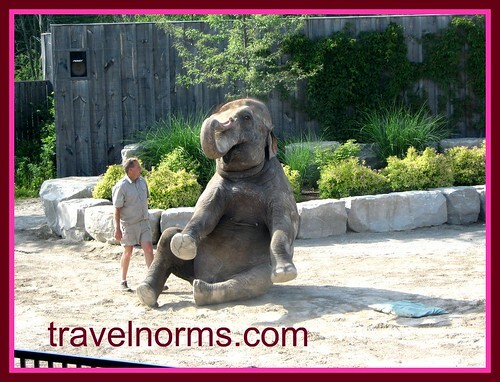 A fabulous elephant show at African Lion Safari. 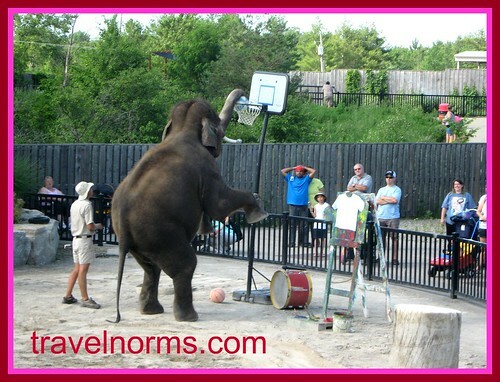 It is a safari park situated in Flamborough, Hamilton, Ontario, Canada, about 100 kilometres west of Toronto. They have more than 1,000 animals, representing over 130 species of mammals and birds from the different countries. That must have been quite entertaining!! My C C is posted now...scroll down, just below the Photo Hunt Meme entry. It's Tahoe again this week. Hope you can visit. What great shots! Very fun.